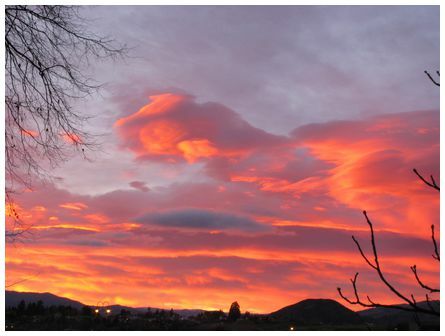 'Another beautiful amazing sunrise at Wanaka. Taken on 24 August 2013' wrote Keiko. 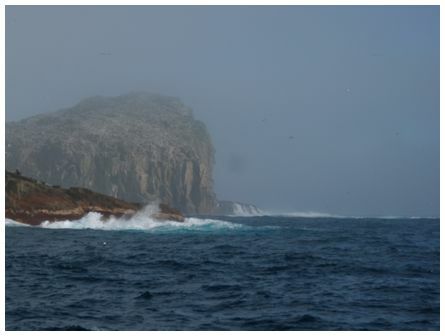 'A morning shower mists Spider Island - part of the Bounty Island Group World Heritage Site, 670 kms East South East of Invercargill - almost at the Dateline. 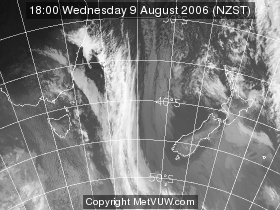 A quiet patch of weather in an otherwise constant stream of strong westerly winds. Taken at 10:00 on 22 October 2013' wrote Lawrie. 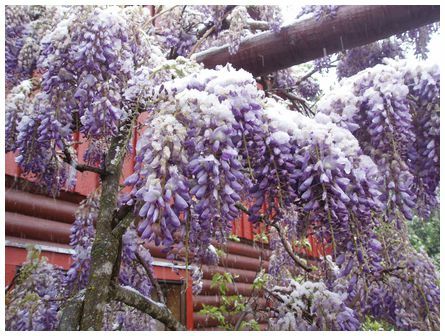 'This shows snow, for the fifth time in thirty years, falling on my flowering wisteria at Labour Weekend. You have to accept everything in the mountains. I just hope my vines come through. 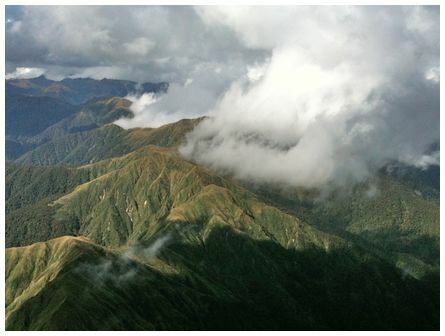 Taken at 17:00 on 26 October 2013, near Queenstown. Olympus digital 500' wrote Ian. 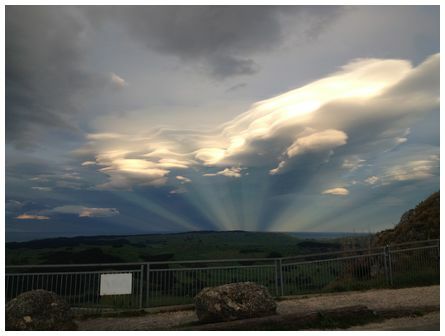 'Looking east from Te Mata peak, as a weather front was approaching from the southwest, the sun managed to find this gap in the clouds stretching out over Waimarama. Taken on an iphone at 19:30 on 22 October 2013' wrote Ross. 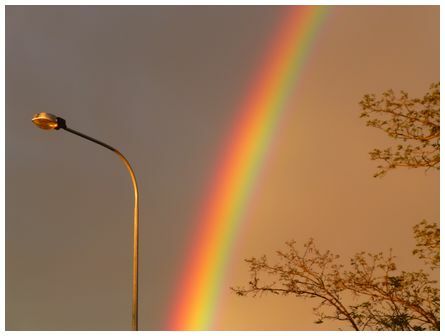 'Severe wind warnings were issued for the Desert Road on Thursday 24 October 2013. 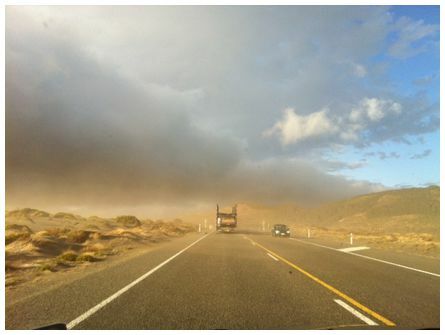 This photograph taken travelling north shows significant amounts of dust being blown across the road in the strong north-westerly winds. Photo taken at 18:48 on an iPhone' wrote June.